Taking notes is the best way to organize your life, and thanks to smartphones it is very easy now to jot down a quick note. In the past, you had to keep a diary with you or deal with sticky notes all over the refrigerator, but now you can simply type all the notes in your smartphone and easily keep a check on them. 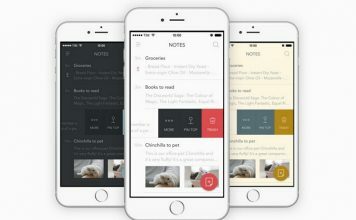 Although most smartphones come with a basic note app, usually its features are not enough to fulfil all your note taking needs. 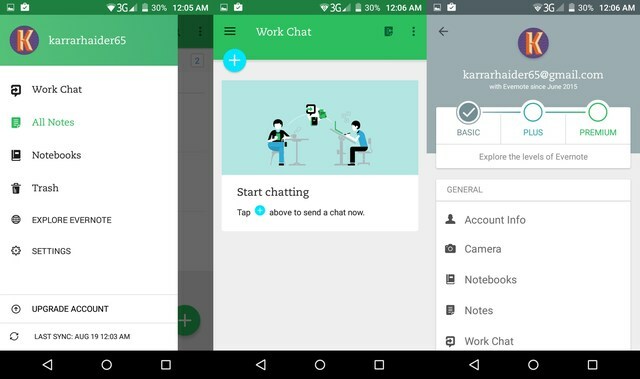 If you are one of those wise people who know the importance of taking notes, you should definitely check out some Android note taking apps that will help you organize your important notes. We are listing down the 8 best note taking apps for Android and they range from intuitive to interactive, so there is an app for everyone. 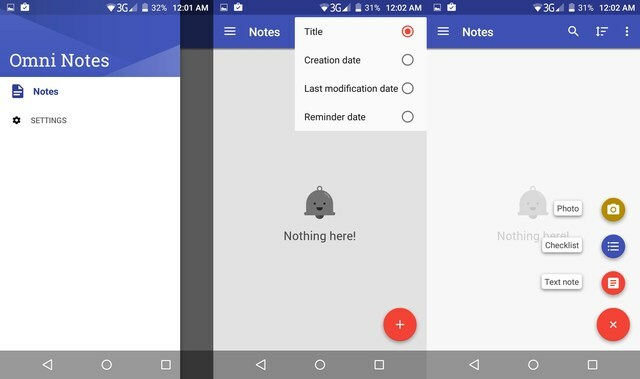 A popular free Android note taking app that is simple yet functional. 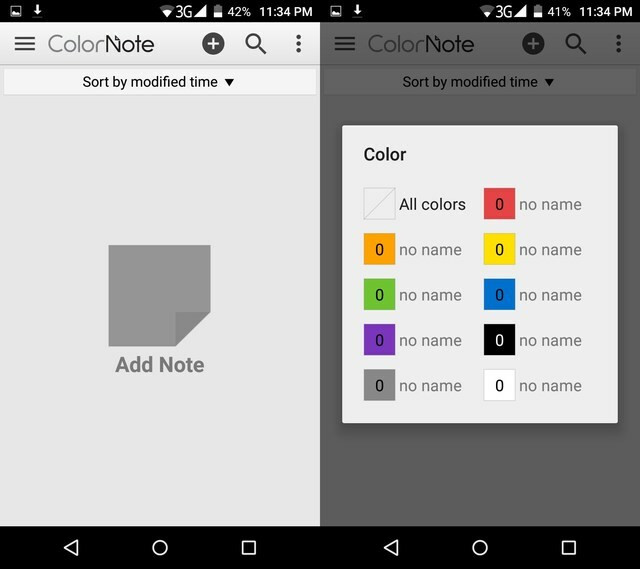 As the name suggests, ColorNote lets you color-code your notes to identify each note quickly. This makes it extremely easy to organize your notes and access the one you might have tucked between hundreds of other notes. For example, you can color your work notes blue and your chore notes green, so that accessing the required notes will simply take a glance. Apart from the colored notes, it also has some reliable advanced features that you will surely love. You can create both long text notes or checklists to remember everything, and the ColorNote widget makes it a snap to access and edit important notes. Other notable features of ColorNote include note reminders, password protection, online backup and sync, auto save, quick search bar, share notes, take notes on calendar, multiple view modes, archive notes and more. OneNote is a powerful note taking app offered by Microsoft that is feature rich and completely free. OneNote offers multiple ways to take notes, including text notes, audio notes, video notes, handwritten, draw notes, clip sections from web pages and ability to use built-in OCR technology to extract data from images. It organizes notes in a notebook like interface with the ability to place notes anywhere you like. On top of that, it comes with attractive themes to differentiate notes from each other and its powerful search features make it further easy to quickly access the note you need. OneNote comes with powerful collaboration tools that allow you to share notes with other people and edit them in real-time and also use tags and comments to make collaboration easy. Furthermore, it lets you add a widget on the home screen to quickly write down notes right from the home screen and access important notes. OneNote integrates with Microsoft OneDrive to save and sync data across all your devices and enable you to access the data from anywhere. Google Keep is a note taking app offered by Google that is loved by many users for its simple yet impactful working. 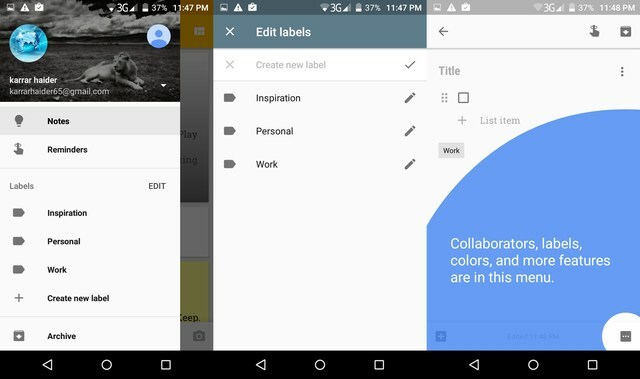 It uses Google’s Material Design language for its interface and lets you take both text notes and check lists for to-dos. As Google Keep focuses on simplicity, you will find its interface to be very clean, which makes finding the notes you need a breeze. It uses Google’s powerful search features to let you find the right note, plus you can also color-code notes to make it easier to organise and find the note you are looking for. Additionally, you can label notes into categories and Google Keep will also automatically divide notes by topics to ensure you don’t get lost in notes realm. Keep offers multiple ways to create notes, including text notes, to-dos, photos, drawings and even dictate notes that will be transcribed to text. You can also set reminders to notes and all the notes & settings are synced over all your devices using Google Drive. To make the most out of Keep, you can check out our article on some cool Google Keep tips. Evernote is arguably the best note taking app and deserves to be first in this list. However, Evernote has recently limited its free account to only two devices and increased the price for its paid subscriptions. This makes it less accessible for users who are looking for a free solution and also makes it a bit expensive for premium users. If you are still ready to give Evernote a try, there are dozens of reasons why Evernote is far better than any other note taking app. Apart from things most Android note taking apps can do, it lets you take notes as photos, audio, video, sketches, clipping web page sections, PDFs, speech to text and more. Its collaboration tools are quite amazing as well and you can share and work on notes with multiple people, annotate pictures, show notes as presentation, add comments, discuss and more. Evernote’s home screen widget is also very productive and lets you put important functions of Evernote right on your home screen, such as text editor, camera, important notes, search bar, reminders and more. If the above note taking apps are a bit too much and you are looking for something simpler, give Simplenote a try. True to its name, Simplenote is a very light note taking app with a clean and simple interface to quickly jot down notes. Although it focuses on simplicity, that doesn’t mean it lacks any of the core features. It syncs all your data over all your devices and makes it accessible from anywhere, and you can use tags and pins to organize your notes. You can quickly take notes using the widget and edit them as well, it also has go-back-in-time feature that allows you to see all the edits and restore them easily. Furthermore, it also has some basic collaboration features that you can use to share and edits notes with friends. Overall, Simplenote is perfect for people who prefer a light on resources note taking app, with a clean interface. We all know how important notes are in the academic field and LectureNotes is specifically created for students and teacher alike. This is not your usual note taking app, as it focuses on handwritten notes preferably using a stylus pen. You should use this app if you have a device like the Galaxy Note or Nexus 10 that comes with a bigger screen and a pen, although you can also write down notes with your finger (not the best implementation though). We can all agree that writing down notes gives you more freedom, as to what to write when compared to typing the notes and LectureNotes makes that possible. You can quickly draw things, add symbols, take shorter notes without opening separate notes and much more. Other features of the app include import photos, seamless working with Evernote and OneNote, audio and video notes (perfect for lectures), presentation mode, tags to quickly find notes, back up all the data and a minimal interface. LectureNotes is a paid app, but it comes with a free trial version that is limited to only 2 books with 8 pages each. 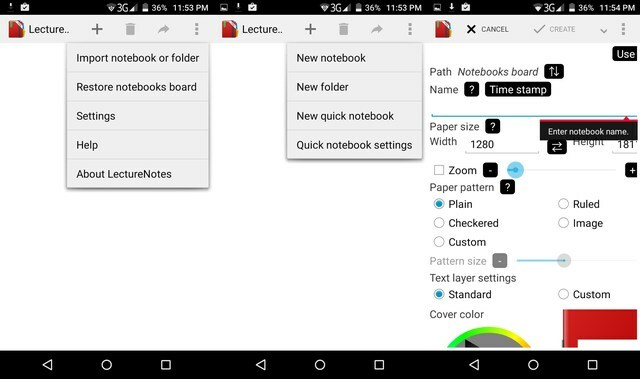 An open-source note taking app that is simple and offers all the required features for taking notes. Since the app is open source, you need not worry third-parties accessing your data. 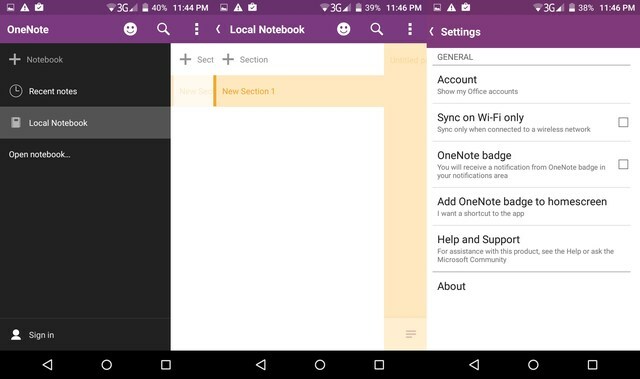 Additionally, Omni Notes doesn’t offer any online backup or sync feature, which could be a good thing if you are privacy conscious and a bad thing if you are looking access your notes on other devices as well. However, you can still create offline backups to move it to other devices. Omni Notes has a clean Material Design interface and lets you use categories and tags to organize notes. You can take text notes, audio notes, video notes, sketch notes and even speech-to-text notes using Google Now. Are You Taking Notes the Right Way? Taking notes on your smartphone is the easiest and also an environmental friendly way of taking down notes. 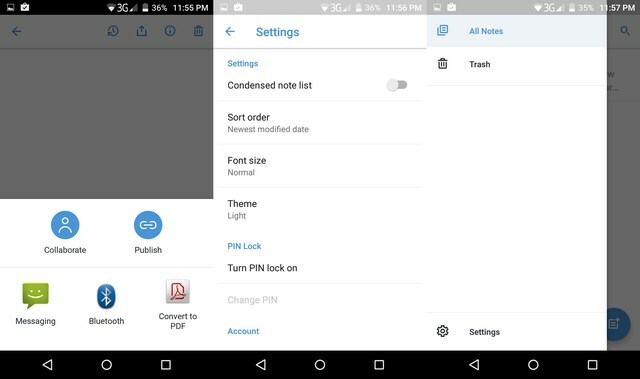 With these Android apps, you can take down notes in multiple ways, access them from any device and quickly find the required note. My personal favorite is Google Keep for its simple interface and working, although OneNote gives it tough competition. Which note taking app do you use on your Android device? Or do you still prefer the old paper notes? Do let us know in the comments section below.